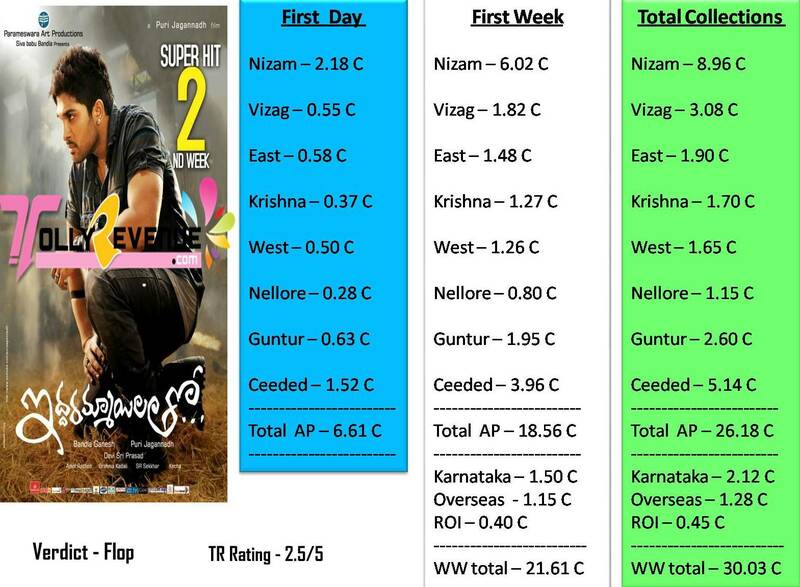 Iddarammayilatho fetched very good revenue of 30C in its full run. It became 2nd Biggest grosser in Allu Arjun career by beating Badrinath. Distributors lost amounts on Iddarammayilatho. Puri again delivered another flop. Here are the exclusive data.